Does the insane asylum treat mental illness, or induce it? Franco Basaglia mulled this question as he became head of the Gorizia asylum in 1961, his time as an anti-fascist in a Fascist Italian jail still in his mind. 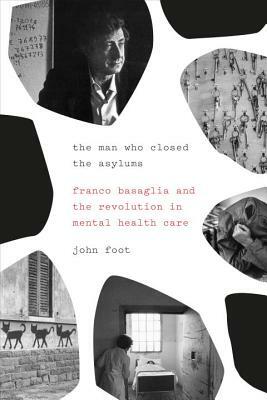 Foot paints a vivid picture of how Basaglia, influenced by the likes of Foucault and Fanon, put leftist theory into practice in one small corner of Western society. A forceful and all-too-rare portrait of the successes and shortcomings of political action that aims big. John Foot is Professor of Modern Italian History in the School of Modern Languages, University of Bristol. He has published several books on sports and contemporary Italian history. He writes a blog for the Italian magazine Internazionale and has written for the Guardian, the Independent on Sunday, the Times Literary Supplement, the London Review of Books, and History Today.